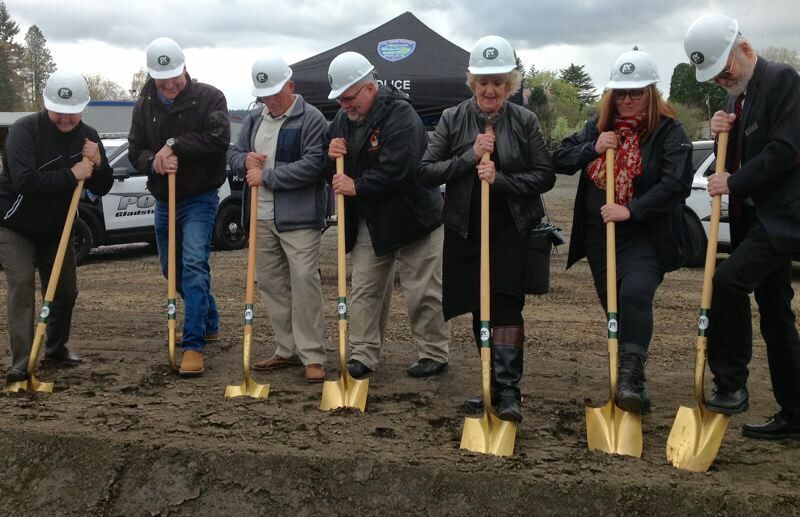 City officials last week celebrated the groundbreaking of Gladstone's new Civic Center at 18505 Portland Ave., a 2-acre site next to the city's public works facilities. 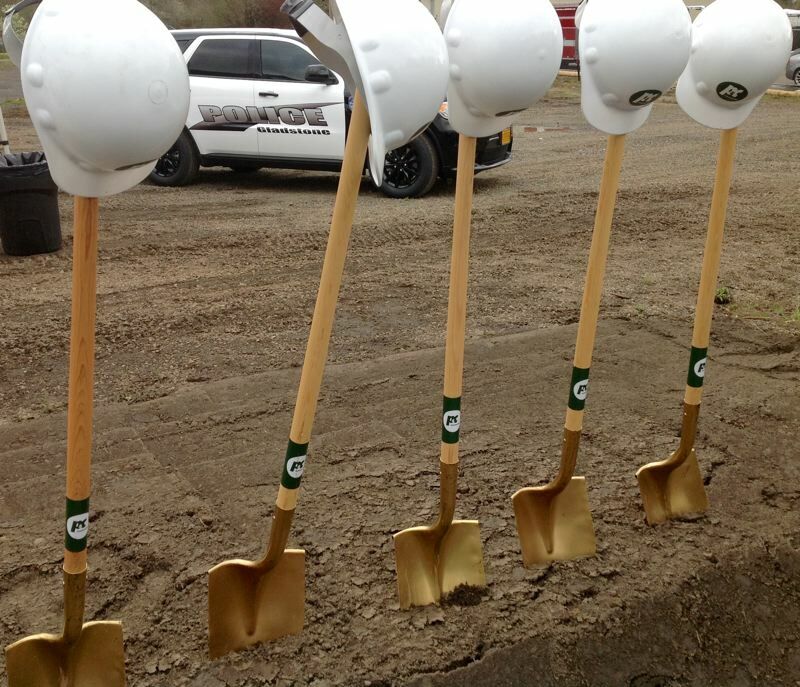 Officials at the April 9 groundbreaking ceremony looked forward to Gladstone's Civic Center becoming the new home for the police station and City Hall in 2020. Rooms in the civic center also will be available for public meetings and gatherings. 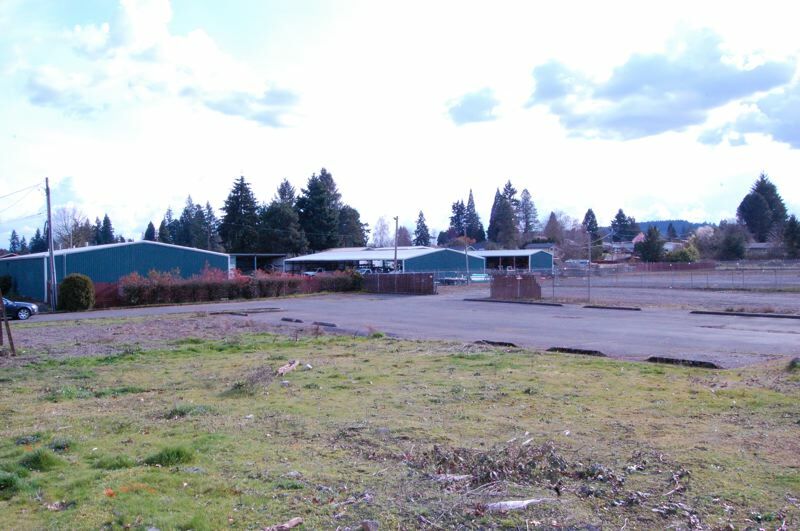 No additional property tax dollars are being required for the $12.8 million project being funded by the Gladstone Urban Renewal Agency, along with "full faith and credit" notes and cash reserves. New facilities at the Civic Center will have off-street parking and ADA accessibility. The building will meet contemporary energy codes and will comply with up-to-date earthquake standards. "Gladstone residents should feel safer knowing their police department and emergency services can continue to operate in case of a major seismic event," said Interim Gladstone Police Chief Kim Yamashita. Gladstone's first building to be constructed using the "Progressive Design Build" approach means the team contracted by the city is fully responsible for delivering the project on time and on budget. Designed by Scott Edwards Architects, the structure will be built by P&C Construction, with overall project management by Shiels Obletz Johnsen. City Administrator Jacque Betz expects the new civic center to be a catalyst that stirs redevelopment along Gladstone's downtown Portland Avenue in the heart of the community. Officials have long seen the need for new Gladstone civic buildings, but flooding last year highlighted the urgency of construction. On Jan. 8, 2018, someone flushed a toilet in the second floor of City Hall, and the ensuing sewage backup broke a pipe in the police department next door, flooding the squad room, records room and IT server room. 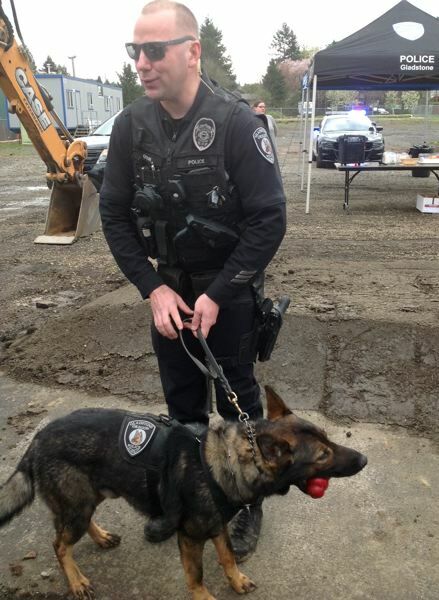 In 2015, voters approved a ballot measure to authorize a new Gladstone City Hall estimated at $4 million and police station estimated at $7.2 million. 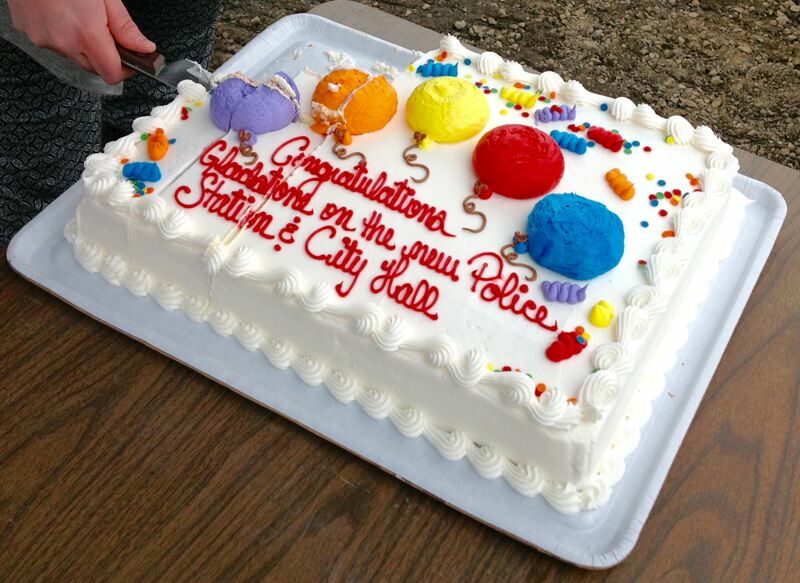 "Gladstone deserves these highly anticipated and voter-approved public facilities," Betz said.